This replacement Antique Brass 3 Position lock suits many soft flap over briefcases. It allows expansion according to how full your briefcase is! 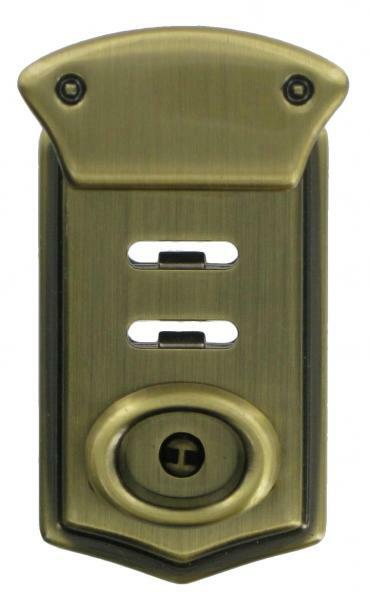 The lock measures 64mm x 37mm and comes complete with hasp backplate and screws necessary for fitting.